Legendary Lotus designer Len Terry, who was integral to the team's success in Formula 1 and at Indianapolis in the 1960s, has died at the age of 90. After involvement in the Delta and Moorland Formula Junior projects, the first car Terry (pictured above with Dan Gurney) designed was the Terrier Mk1 for 1172cc racing, which he drove himself. Terry subsequently joined Lotus as a draughtsman, and soon emerged as the senior designer working under the legendary Colin Chapman. There, the pair had a productive, if not entirely harmonious relationship, with Terry having to translate Colin Chapman's sometimes inspired and sometimes unreasonable design concepts into reality during the years when Lotus was still establishing itself. During this period, Terry notably worked on the Lotus 15 and 17, but in 1959 Chapman decided to fire him. This was claimed to be partly motivated by a clash over Terry's Terrier Mk II, which Brian Hart used to dominate the British 1172cc category ahead of Chapman's designs, but the difficult relationship between the pair was also a factor. After leaving Lotus, Terry joined Sid Greene's Gilby Engineering, working first on its sportscar project and then the minnow British marque's F1 car. The Gilby appeared in Formula 1 races in 1961 and '62, first with a Climax engine and then, with a revised chassis, a BRM powerplant. It started two world championship races in the hands of Sid's son Keith, finishing 15th in the '61 British GP, as well as appearing in myriad minor races. While designed and built on a small budget, Terry's design was very well-regarded, and when Bruce McLaren tested the car at Goodwood he lapped close to the lap record for F1 machinery. Gilby's future was not bright and it closed at the end of 1962, but in September that year Terry re-joined Lotus, reflecting the esteem in which Chapman held him. The old frustrations of working under Chapman, who sometimes led Lotus down blind alleys, were still there, but Terry once again played a vital role in translating his vision into reality during this period. Initially, Terry worked on the Lotus 29 that led the 1963 Indy 500 and finished second with Jim Clark at the wheel. 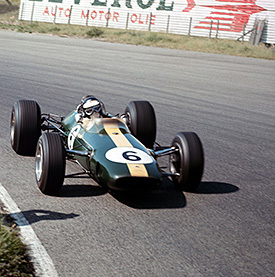 Under Chapman's direction, he was charged with designing the Lotus 33, which was based on the Lotus 25 and dominated the '65 season in the hands of Clark. Most famously, he also headed up the IndyCar project, single-handedly conceiving and designing the Lotus 38 that took Clark to a famous victory at the Brickyard in '65 in just four months. 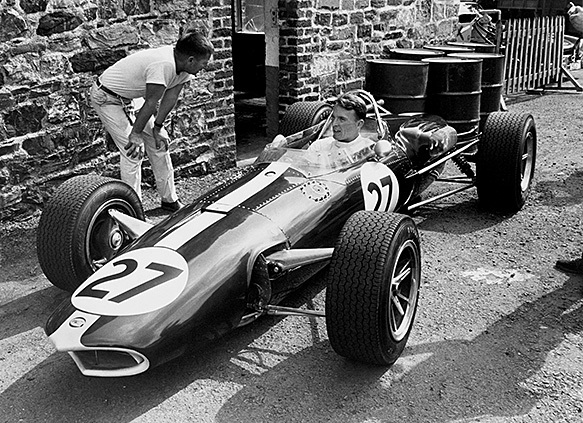 Terry decided to leave Lotus again in '65 to go to work for Dan Gurney on both his indycar and F1 projects. There, he designed the stunning Eagle Mk1, often hailed as the most beautiful F1 car of all time, in which Gurney won the 1967 Belgian GP. That year, he moved to BRM where times proved more difficult and his last involvement with F1 would be with the same marque in 1977, when he designed the ailing team's final F1 car, the uncompetitive P207. During the late 1960s and 70s, his design skills were highly sought after and he was involved in a number of projects outside of F1. This included the Surtees TS5 F5000 car, the BMW 269 F2 and Gulf-Mirage sportscars. There was also the aborted Eifelland F1 car, intended to be raced in 1973. Later in life, Terry built replica vintage vans and, recently, was a keen supporter of Classic Team Lotus. AUTOSPORT, which ran cutaway drawings produced by Terry in the 1950s, offers its condolences to his family and friends.